Why worry about sending huge files to your clients and co-workers when there’s an easy way to do it? Save the hassle in sending large files via email and increase collaboration and harmony inside your organization by using our built-in online storage! 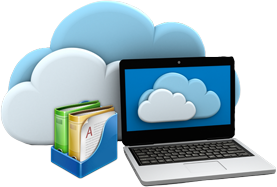 One of the major benefits of having an online storage is the ease of data migration. This feature can also help you get more use out of your existing hardware and makes your network more flexible and manageable. This makes you operate more efficiently and cut spending costs on new hardware. Intagent makes it easy to share documents with your co-workers and clients. We offer easy-to-use document storage so that you can upload documents throughout your website and share them with a few clicks of a button. Save money and time from mailing large documents with our document uploading system. Go Green! Intagent makes it easy to share documents with co-workers and customers alike!